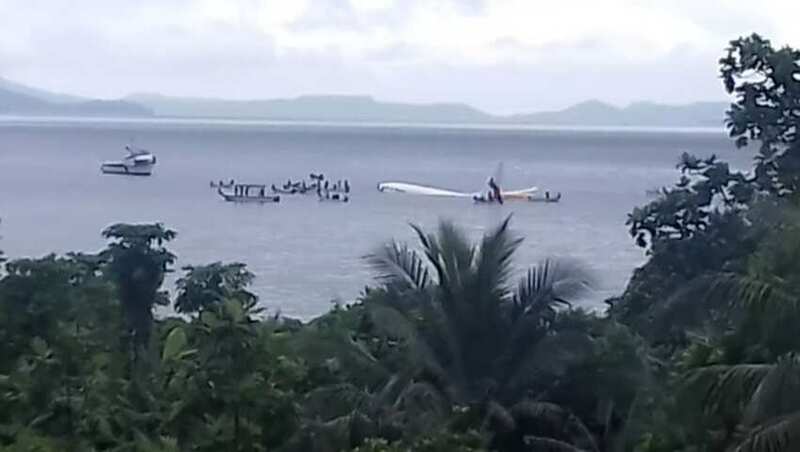 Passengers onboard Air Niugini Boeing 737-800 were forced to swim for their lives Friday when the aircraft ditched into a lagoon after missing the runway on a remote Pacific island and began sinking. 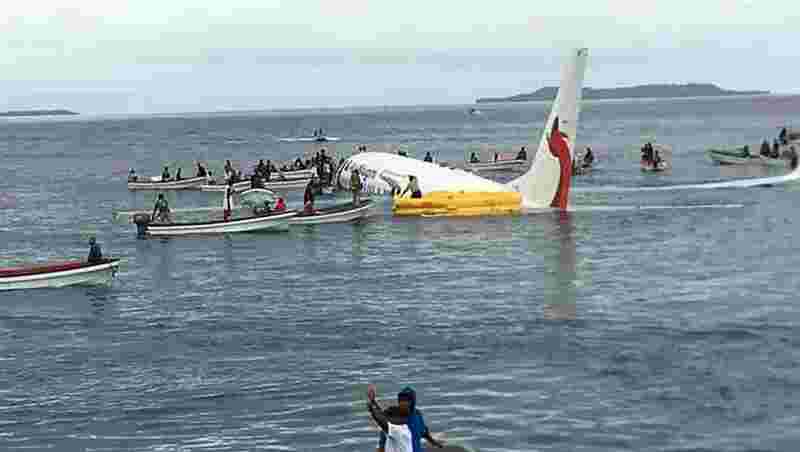 The Air Niugini Boeing 737-800 was attempting to land at Weno airport in Micronesia. 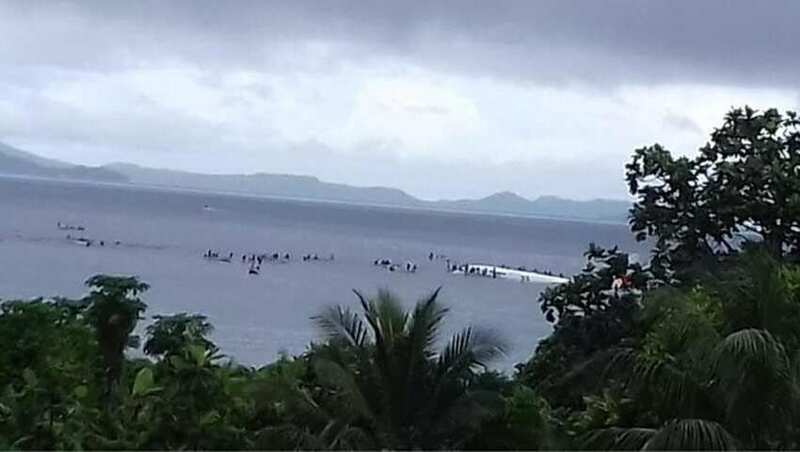 A flotilla of small boats rescued all 47 passengers and crew from an Air Niugini flight that crashed into the sea short of the runway at an airport in the tiny South Pacific nation of Micronesia on Friday, the airport`s manager said. "We don`t really know what happened ... people were rescued by boats - 36 passengers and 11 crew were all rescued, only the plane is sinking right now," he said. "I thought, well, this is not like the way it`s supposed to happen," he said. Water was waist-deep in the cabin before rescuers arrived, he said. A spokesman for Papua New Guinea`s Accident Investigation Commission said investigators would fly to the scene as soon as possible to piece together what happened.